In the event an accident requires emergency medicine, and when the emergency is over, or in the event emergency care is not necessary, Dr. Davis strongly encourages you to consult with him immediately after an accident so that he can explain and utilize specialized applied kinesiology chiropractic procedures that allow the fastest recovery possible. When you crash into something or fall (in a car accident, sports, or for any other reason), your whole body decelerates and that compromises joints, tendons, and ligaments, often causing straining of tissue, bone displacement or subluxation, joint malfunction, and frequently pain and restricted range of motion. Manual manipulation of displaced vertebrae in the spine and other bones may certainly be indicated, but the key to fastest recovery is additionally the proper soft tissue rehabilitation. That is achieved through advanced applied kinesiology procedures, which often includes use of soft laser therapy to revitalize damaged tissue. Our state-of-the-art cold lasers can help to rapidly reduce inflammation and pain. Perhaps the most serious misunderstanding about the potential for auto accident injuries to leave damage in the body is the idea that low speed “fender benders” cannot cause damage. That is not at all the case, and even though there may not be significant pain in a low speed impact, there can be lasting muscle damage and weakness to the neck that eventually leads to flattening of the normal neck curvature and early degeneration into osteoarthritis. (When the neck is injured there is a direct neurological reflex that compromises low back stability.) Rehabilitation of normal neck muscle function can restore the healthy C curve in the neck, optimize full range of motion, and reduce or eliminate pain entirely. 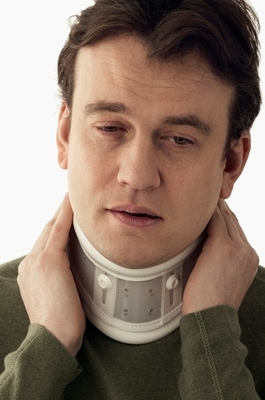 Whenever there is an impact injury such as a fall, sports injury, car wreck, etc. the brain takes a “snapshot” of the event and stores it in memory where it is replayed at the unconscious level every day. When another injury occurs, it simply adds more injury memory to what is already there, and the problem becomes more chronic. Dr. Davis uses a specialized procedure called “injury/emotional recall” to remove stored neurological memory from the brain (far in the past up to current time) and this profoundly speeds recovery. Then he may employ any of a number of different types of manual adjustments of the spine, skull, and pelvis to balance whole body structure that is essential for the particular compromised area to stabilize and heal. This approach often shortens the length of time needed in recovery, and the total number of chiropractic visits is often cut dramatically. Nutritional, herbal, and homeopathic supplements that are anti-inflammatory and healing to tissue are commonly employed as an adjunct to further accelerate healing.